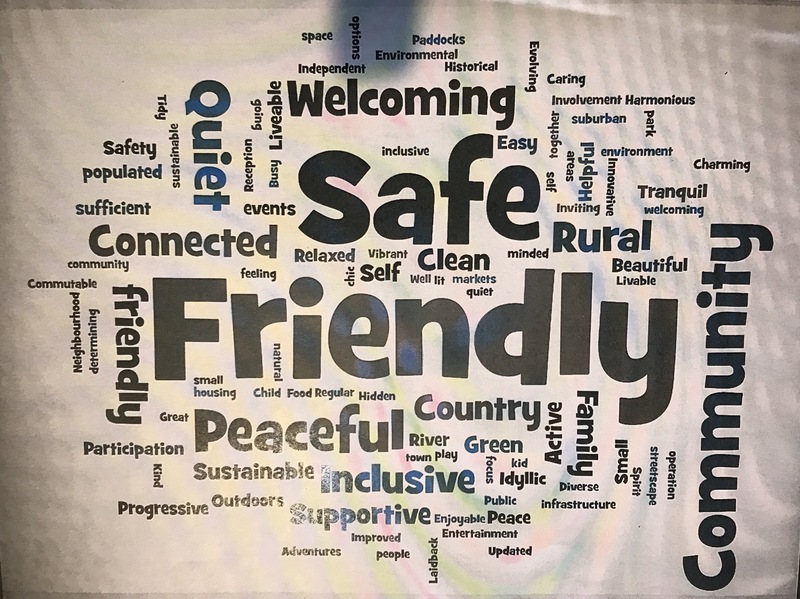 Recently : Axedale Our Town Our Future, along with City of Greater Bendigo, surveyed local residents, and asked them for three words to describe their experience of living in the small township of Axedale. The word cloud below shows the very positive responses that were received. The following article is quite wordy and contains segments taken from the sermon, but it is worth reading, as it shows how important the church is to the Axedale community. 103 years later, St. Paul’s Anglican Church is about to be sold. This is a contentious point amongst residents of Axedale at the moment who would like to keep the church for community use. The dedication of the new Church of England at Axedale look place on Sunday. The dedication service was conducted at 3o’clock in the afternoon bv the Rev. C.P. Brown, M.A. warden of St. Columbs Hall, Wangaratta, who had the distinction of holding the first Church of England service in Axedale. The evening service was in charge of the Rev. Canon Watson. The foundation stone of the new structure was laid by the Lord Bishop of the diocese, in June last, but owing to a variety of causes, its completion was delayed until recently. The church, which has been named after St. Paul. was built to the design of Mr. John Beebe, the diocesan architect, and is of bluestone from the Axedale quarries. It consists of a nave and porch on the. north side. The lofty walls and handsome Gothic windows give the building a very pleasing appearance, and as it occupies the summit of the hill in the centre of the township, it will be a new landmark ornament to the locality. As was to be expected, very large congregations attended the opening services, the seating capacity of the church being quite overtaxed. This Bishop’s license for the performance of Divine service having been read by the Rev. C.P. Brown, M.A., the dedication service was proceeded with. This includes special prayers for the following, viz:- Those who shall be baptised, those who shall be confirmed, for communicants, for hearers, for those who shall be married, for all who make offerings, and for all who worship in the newly dedicated house. Evening prayer having been said, the Rev. C.P. Brown delivered the sermon, first of all expressing his astonishment and pleasure at the success achieved in the face of many difficulties in so short a time. Great enthusiasm and perseverance must have been shown by both minister and people to have secured such an edifice, and such a congregation as was present that afternoon. They had named the church in honor of St. Paul, the earnest worker and missionary apostle, and it was to be hoped that St. Paul would be honored not only by the house of dead stones, bu also by the temple of living stones. Let them be enthusiastic, pushing and determined in their Christian work. No doubt this would lead to the clash of wills and quarrels, but that was nothing like as bad as the dead face of lethargy. In all their quarrels, (which were sure to come) let them honor St. Paul by imitating his unselfish self-efacement when necessary. Again it was the Axedale Church not the church of a congregation or a section, but the church of the district and all the people – a church hallowed by memories, of the babes baptised therein. Of the men and women therein united in holy wedlock, of the hallowed memories of the dead – a church where all met round God’s table for spiritual sustenance. And being the Church of England, it linked them up with that development of Christ’s religion, which peculiarly suited and helped the English people. Finally, it was God’s own house and must ever be regarded with awe and reverence but at the same time with glad interest for there God himself dwells to rejoice the hearts of His faithful people and to meet them in sweet fellowship. xxvii, 17) observed that though this new house of God was not so great or costly as many of the houses of God, erected by men of different lands and ages, yet it was dear to them. It expressed the measure of their devotion to God, it proclaimed that they judged it right, that man should worship Him. Again this new ‘house of God’ indicated their desire to have a new house in which God could be worshipped ‘according to the rites of the Church of England’ and the gospel set forth in accordance with the conception of it’s scope, entertained by that church. 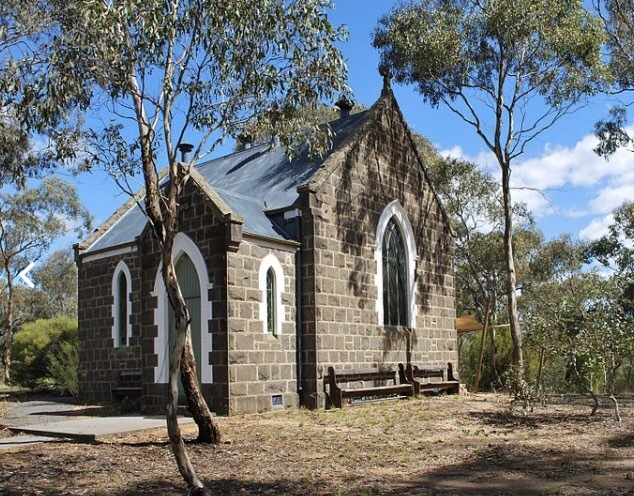 There were now three houses of God in Axedale, each of them stood for a somewhat different conception of the character of the Christian religion, and by what was the best system by which the life of a Christian community should be regulated. Continuing Canon Watson said: “Until we see eye to eye we do well to make full use of our district ideas of what religion is and of the best way in which God’s work is to be promoted. But let us have due respect for the views of others let us credit one another – as far as possible -with a sincere desire to promote the glory of God, and extend his kingdom. There are indeed far more things upon which we are agreed than there are upon which we differ. Look at the Nicene Creed which we have repeated tonight. All the churches represented in this town are agreed upon every article of that historic, that glorious summary of the Christian faith. The primary purpose of a ‘house of God’ is to afford to men a fitting place where they may meet with God. The purpose for which man will depend upon his idea of the nature of God. These ideas have varied widely. We believe in that God whose will and nature have been revealed to us in the Old and New Testaments. Hence we meet with him for clearly defined purposes, and these have been admirably expressed in the exhortation at the commencement of our morning and evening prayer. But it is one thing to have a ‘house of God’ erected for laudable purposes, it is another thing to tender acceptable worship therein. Recall how nobly Soloman portrays the purposes for which the great ‘house of God’ in Jerusalem was erected; and then look at the scathing condemnation of unacceptable worshippers therein uttered by Isaiah i. 10-15. What was requisites of acceptable worship? Penitence, reverence sincerity (see Isaiah i. 10-15; St. James 3 7-12)and gratitude. But Christ came to save the lost and every Christian church must keep the one purpose to the front, and aim to cultivate those requisites of acceptable worship in all men, and it will be part of your work to attract men to this house, so that they may in due time learn to worship God acceptably. Pre-eminently this ‘house of God’ exists for the purpose of affording opportunity for the setting forth of the redemption that is in Christ Jesus, in the hope that all will be admitted into the family of God by baptism: and be subsequently nourished by meditation, prayer, and the Holy Communion.